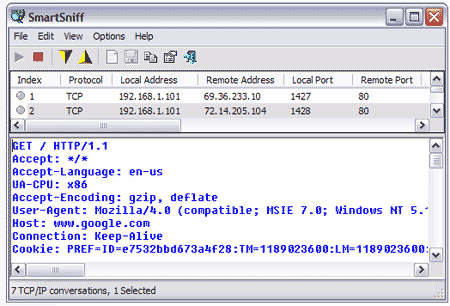 SmartSniff is a network packet sniffer TCP/IP packet capture program that enables you to monitor all traffic, open ports and more that pass through your computer’s network adapter. All without installing a capture driver or installing to your computer. SmartSniff can be carried with you and run directly and portably from a USB flash drive.